Ohio's top lawman sent out an SOS on Thursday to residents thinking of becoming foster parents — we need you now to take in kids from drug-ravaged families. 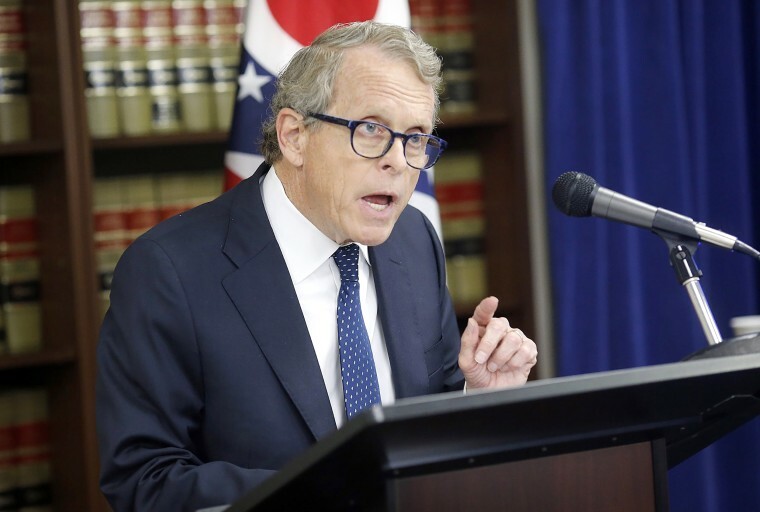 “There is a growing chasm between the number of available foster families and the increasing number of children who enter the child welfare system because one or both of their parents are drug addicts,” Attorney General Mike DeWine said. “Today I want to issue a call to Ohioans who may be interested in being a foster parent," he added. "I ask them to make that leap and open their home to a kid or kids who could use a stable, loving home." DeWine’s plea came as the child welfare officials in Ohio, which has the nation’s highest rate of deadly heroin overdoses, have been struggling to find homes for the youngest victims of this plague. Currently there are more than 15,000 kids in the child welfare system but only 7,200 foster families to take care of them, according to DeWine. There are now nearly 3,000 more children in the child welfare system than there were when the opioid crisis began seven years ago and “we just don’t have enough families to meet the demand,” she said. How dire is the situation? Half of all the kids in foster care are there because one or both of their parents are drug addicts. In some of the hardest hit counties like Ross, Vinton and Highland in southern Ohio, the rate of kids in foster care because of parental drug abuse was over 80 percent, according to the latest statistics from 2015. In rural Van Wert County, which hugs the Indiana border, the rate was 100 percent. “We rely a lot on kinship care, which means placing children with grandparents or other relatives to reduce the trauma,” Armstrong said. But in many cases that is not possible because entire families are struggling with opioid addiction, Armstrong said. To make it easier for Ohioans to become foster parents, DeWine directed the state’s Bureau of Criminal Investigation to speed up the required background checks through a dedicated email address, which is FosterCheck@OhioAttorneyGeneral.gov. DeWine has also earmarked $1 million in grants for child welfare agencies to help recruit new foster families in some of the hardest hit counties like Franklin, which earlier this year was averaging one fatal fentanyl overdose per day. A Republican, DeWine is running for governor and in recent months he has taken aggressive steps to confront the crisis. “And when those patients can no longer afford or legitimately obtain opioids, they often turn to the street to buy prescription opioids or even heroin,” the suit states. During a press conference, DeWine acknowledged that his job has nothing to do with foster care and that he was moved to act after hearing about the crushing demand.